A factory configured computer is inside every CNC Command Center ensuring fast easy start-up after delivery. This also ensures your screen looks the same ours simplifying the training & technical support process. You can use any design software you like but we include Corel X8 as a standard feature. With X8 you can create mechanical, text based, artistic drawings, scan & auto-trace existing parts & much more with ease. All tables incorporate our digital automatic torch height control system allowing for independent piercing & cutting height's to be set & maintained with ease. Simply set it and enjoy the benefits of accurate plasma torch height control. RS232 and LPT connections are a thing of the past and USB is not reliable for cnc plasma. Trackers exclusive Pro-Link Ethernet based connection method offers reliable, shielded, and lightning fast cnc machine communication. Unlimited training is available during normal business hours 9-5 EST. 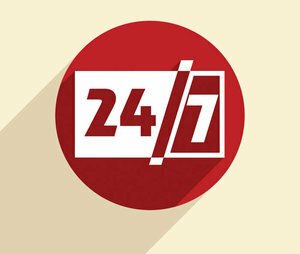 Unlimited technical support is available 24 hours a day 7 days a week to ensure your operating at all times & making the most of your investment. Dropped linear rail system locates the gantry rail's below the cutting deck surface to ensure safe & easy loading from any side of the cutting table. Rails are safely inside the massive main beams of the table frame for further protection. The CNC Command Center incorporate built in WiFi allowing us to connect remotely to your table from our office. This gives us the ability to assist in live training, support, software updates, etc. With our 20+ year track record and industry leading 3-year warranty you can rest assured that your table will provide you with trouble free operation with friendly, helpful, professional service. All tables incorporate a parking area at the back of the machine allowing you to park your gantry clear of the cutting deck. 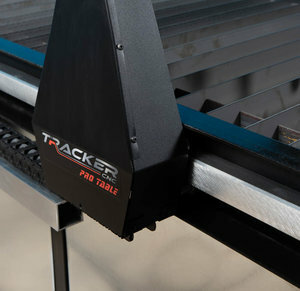 This allows for safe & easy loading from all sides or overhead by hand, crane, or forklift. Windows 10 is included on every onboard computer system to provide a rock solid and familiar platform for everyone. Windows 10 also makes connecting your table to an existing network easy. 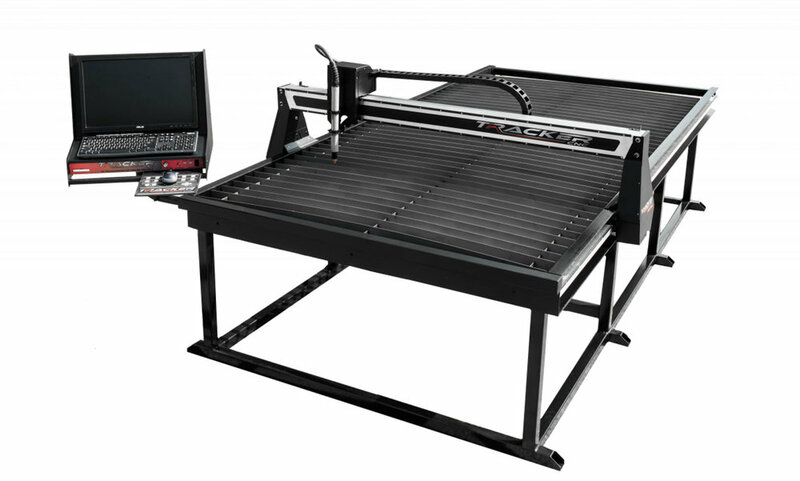 Cascade Metal Designs is a prominent designer of dxf files for the creative metal industry and we load every tables computer with large variety of Cascade artistic designs all ready to cut the same day you take delivery.